The electric guitar is an amazing instrument that is capable of facilitating the creation of many musical sounds and styles. What experiences and wisdom has guided some of the world’s top guitar players in their pursuit for the ultimate guitar tone and a signature sound? What can we learn from the gear gurus that have invented and reinvented the tools these players use to craft their tones? 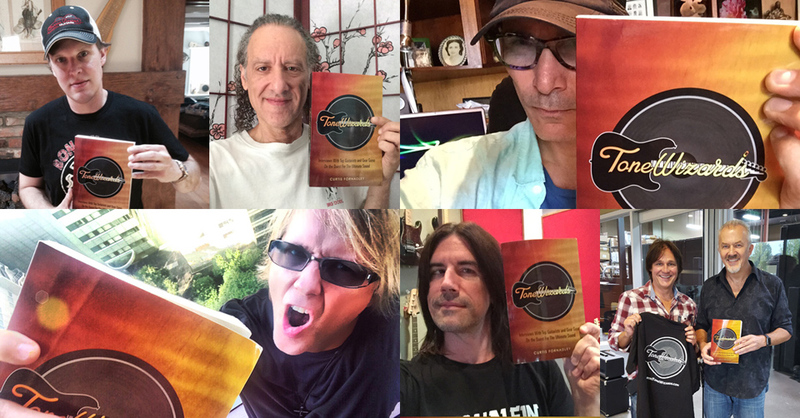 This Tone Wizards book contains a series of interviews that dig deep into the various aspects of electric guitar tone and style. Included are insights into the life journey of successful people on a similar path for achieving, or contributing to, the quest for peak artistic expression through the guitar. This valuable resource is sure to provide the interested reader with inspiration and ideas for discovering and evolving their own guitar tone and style.